The month of April passed by so quickly. Its funny yet terrifying to know that we are almost through the half of 2016. I still haven’t blogged that much for April because of procrastination and busy schedule but I am happy to announce that April has been the highest month for unique visits this year. 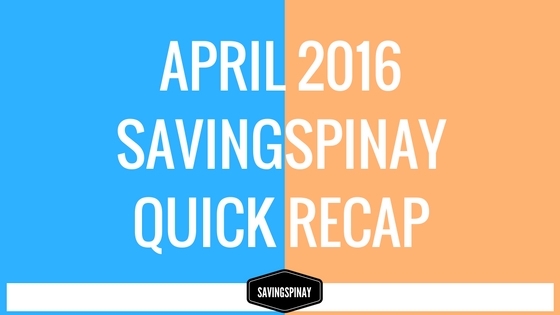 I am extending my appreciation to everyone who continuously enjoy reading SavingsPinay. And so let’s begin our quick recap of the month April.